You march into the yoga studio, unroll your mat, breathe, focus, and offer namaste to the teacher. You hit the Pilates studio, take a deep breath, eye the vaguely medieval-looking equipment, and plunge right in. At the end of either class, you emerge less stressed and more focused, stretched and strengthened, and probably sweaty. What's the difference? Yoga and Pilates can seem as if they are cut from the same cloth. Both disciplines improve mental focus and the function and form of the body. However, the one key difference between them is spiritual. Despite the western inclination to turn yoga into a trendy spandex-clad workout, the movements, breathing patterns, and meditation are meant to open the mind and heart to enlightenment. Yoga is, at base, spiritual. Pilates is essentially physical. It is meant to give you a long, lean, strong body. Both are fabulous for you, and both can change your life. Despite their similarities, yoga and Pilates have vastly different origins. Yoga, an ancient system of movement, breathing, and meditation, was designed to unite body, mind, and spirit or soul. Pilates, a series of exercises performed on a mat and with specialized equipment, was designed in the 20th century by Joseph Pilates to rehabilitate dancers, lengthen and strengthen muscles, and re-sculpt the body. The physical intentions behind each practice also differ. Yoga asanas primarily increase flexibility in joints and ligaments. Pilates exercises primarily lengthen and strengthen muscles. Body support differs between yoga and Pilates. In yoga, you work with the prana, the life energy embodied in the breath. In Pilates you work the "powerhouse," Joseph Pilates' term for the muscles of the core. How and why you move also differs. Yoga uses body weight and position to create resistance. Pilates uses a system of springs and pulleys for many of its most powerful resistance exercises. Focus varies between yoga and Pilates although in both, body and mind benefit. The focus of yoga is to train the mind as it works the body. The focus of Pilates is to change the body, and as it does, the exercises also improve mind function. The central effects of the practice are as follows. Yoga is holistic; a good sequence includes poses for the entire body. Pilates benefits the whole body, but its central effort is on the core. Spacing between moves--that is, how you flow from move to move--differs, as well. Yoga is a series of poses. Even flow yoga is more like a slideshow than a film. Pilates is a series of exercises. You move through them, pausing only between exercises or to change equipment. There are many types of yoga, but only one type of Pilates. Yoga has many styles and interpretations. From hatha to ashtanga to Bikram to kundalini, each yoga class and its asana selection can be different. Pilates workouts are fairly standard; you move through the series of exercises in the same pattern and perform them with the same technique each time. The joy of choice between yoga and Pilates is that you don't have to choose. Each system complements the other. That rock-hard Pilates core will stabilize you in crow pose. 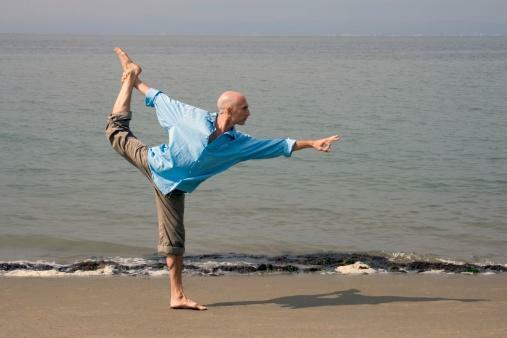 Your yoga-stretched flexible self allows you to perform Pilates moves with grace and fluidity. Your balance and breathing improve exponentially. You are invigorated by both disciplines and less at risk for injury in sports and daily life. Mastery of Pilates and of yoga imbues you with an earned assurance, and the infinite challenge of perfecting the moves in either discipline inspires you to a healthy humility. Both Pilates and yoga improve your mental and physical performance, contribute positively to the quality and length of your life, and make you fitter and happier.